Good morning, David. So, what's new in hotel tech? The topic of visualization is still very relevant, and what I also find quite interesting is the way it has become so Tableau-specific. Eighteen months ago, there were two or three companies, QlikView, Tableau, and Pyramid that a lot of people spoke about. On the other hand, something that is important to acknowledge is that without wider data aggregation, what they are doing is frankly of relatively low-value. So investing beyond off-the-shelf solutions into customizing data visualization tools, is definitely one of the most discussed topics at the moment. The other topic that I find interesting is streaming analytics, meaning the collection of real-time data. Here's a real example: Walt Disney gave out RFID bracelets to customers. This was done in order to improve the customer experience by giving the guests the ability to pay quickly and directly for food, drinks, et cetera, and to have access to different areas of the amusement park. But another utility is that their server can track guests’ moves, habits, and general activity. This can enable Disney to offer all kind of customized perks. Now in a different context, when you think about the future of any kind of mobile app development, the challenge facing an individual hotel or group is creating value through the efficiency and utility of the app. Having guests download it is an opportunity for hotels to collect data based on the customer’s active behavior online, isn’t it? Yet customers do not want to have four hundred similar apps on their phone, right? So I think that we have to start focusing on what it would be like to embrace sensors for the purpose with which apps were intially sought after. Think about it, sensors placed within the hotel can start to give us this better, granular overview of customer behavior from arrival. They would then be dispersed throughout the hotel and its publics areas, then flow up to the rooms. I think that this kind of streaming analytics is something that has become really, really interesting, not only from a service point of view but from a customer behavior perspective as well. How about hospitality-centric messaging apps or messaging services? I think it is, again, where the OTAs have taken the lead. Both Expedia and Booking.com now are pushing through their intra-communication tools between themselves, the hotel, and the customer. Naturally, we can assume that it is a three-way relationship that improves the connection that guests have with them, and the feeling of belonging to a soft brand. But in principle, messaging as the base for the app that a hotel would provide is very, very intelligent. However, it ultimately comes down to the same problem, which is; can we convince the consumer to download an app for one hotel? So what we really need, is the next wave of developers to come up with a killer app that is effectively going to be a standard. Travelers are not loyal to a hotel, they are loyal to their points. Through this reward system, hotels have a reputation advantage, but never a real financial advantage. It seems the old school version of guest loyalty and rewards is not really as popular as it used to be, in terms of incentivizing guests to actively be part of those programs. What are some things hotels can do to combat that or to react to it? Baby boomers, generation X, and gen Y, et cetera, have different requirements. You are not going to convince the baby boomers to move away from loyalty program 1.0 knowing they have just spent the last thirty years of their working lives collecting points, right? That corporate-grade job where you collect those points will lead to an opportunity for you and your partner to get away somewhere fantastic, and that’s a big payoff. On the other hand, if you fast forward to the younger generation, they want immediate contact, and they want implicit recognition. That recognition goes beyond just the Uber driver greeting you with a “Hi David!” when you get in. They literally know your address, they know your likes, your dislikes, and they know your credit card details. This idea that companies know everything about them, and that they know everything about companies. That is, for me, kind of the difference between those two groups. With that in mind, travelers are not loyal to a hotel, they are loyal to their points. Through this reward system, hotels have a reputation advantage, but never a real financial advantage. So it’s frustrating to see companies who try to fix everything with one solution, thinking it will work with all demographics. They’re never going to do that but to have those parallel paths. It seems like a lot of hotels have difficulty segmenting their guests in the most effective way. Yes, absolutely. That whole sort of classic segmentation, whether it is sociographic, geographic, or behavioral– hotels don’t do that on a micro level. That is because they get conditioned by the PMSs to build up market segments, which are based more on booking behavior. 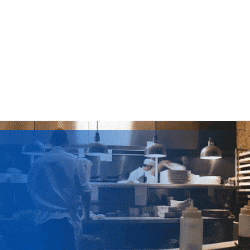 How do you connect something that's cold and calculated like occupancy rates and PMS data with something more unstructured and organic like guest satisfaction or guest experience? Let’s use the example of review data. Review companies themselves are taking unstructured data and they're creating a first layer of structure. They do a semantic analysis of, say, a TripAdisor review, and based on that, they give it a score. That’s one great example of how one particular type of hospitality technology player, Online Reputation Manager (ORM), is starting to aggregate reviews and create structure, which can then be compared against the performance data. For instance, if I know that my average reputation score is ten percent higher than my competitors, would I change price? The answer is probably not. Why would I? Because the guest is most likely going to see that as well. Assuming that my competitors are obvious to my customer, that means that we need to be pretty confident about our location, about our style, and about what our customer is looking for. But that relationship between price and reputation, although it is a good alliance to keep into consideration, it's irrelevant if you think about how a typical European leisure traveler would book these days. I say that because they will most probably go on Expedia. Supposing that your competitor is on the first page and that you’re on the fifth, it almost doesn’t matter anymore that you're rated ten percent higher than them. One could only hope that the customers filter the results by reputation, but typically they don’t. The customers go to OTAs because they already curate the results, which makes it a lot harder for a hotel to stand out. To bring that all full circle, the need for more aggregated and curated data is clear. Ninety percent of your data will be noise, but ten percent of valued information that we do find will be pure gold. We have got to mine for data. 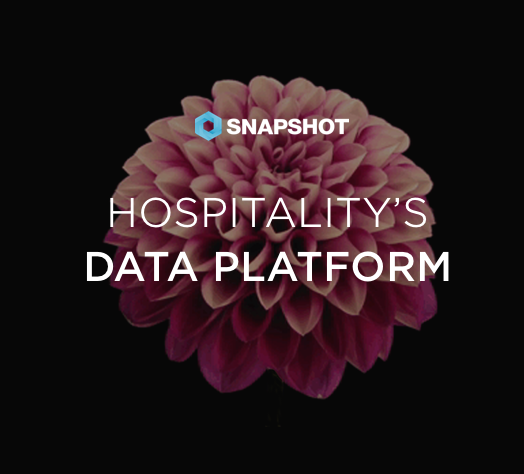 This sort of eventual shift over to the data economy shouldn't be feared, because it's actually going to help hotels commercially, financially, and the customers will get an even better experience because of it.